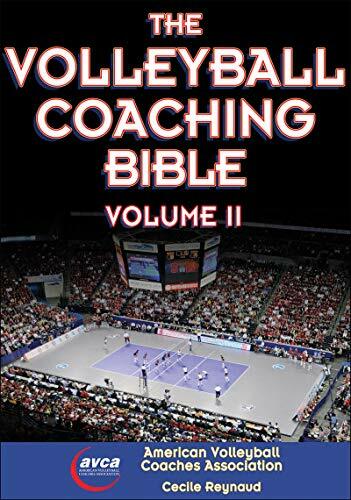 Let’s get one thing out of the way before I dive into this book review of The Volleyball Coaching Bible by Don Shondell and Cecile Reynaud. I always worry about offending others (call it a character flaw) and I try to be selective with the information I share because I know it has an impact. With that being said, I do worry that reviewing a book with “Bible” in the title without being THE Bible will offend some. I hope no one takes it that way. I view a “Bible” as a book you return to again and again for guidance, and although I might have chosen a different title if I had written this book, I do think my personal definition fits. I’m very excited to share this book review (you’ll learn why soon enough!) so let’s go ahead and jump in! This book has traveled with me across the country and back! Whenever I’m feeling stumped or need some inspiration, I can usually find SOMETHING inside to give me a kick-start! What made this book jump out to me? Well, it was one of the only books that wasn’t just a book on drills. I already knew drills (plus I liked creating my own) so I wasn’t very interested in those beyond flipping through them as I browsed the aisles. Also, this was actually a HEAVY book. At that time, this book and Coaching Volleyball for Dummies were my only options, and I honestly I felt like I was beyond dummy-status (although who knows, I was too proud to pick it up)! #1: It gives you a solid foundation to build from. This book doesn’t cover EVERYTHING. And honestly, I don’t know how a single book could. However, it sets the stage for a successful coaching career by helping you get your priorities straight before you ever set foot on the court. Always a favorite topic of mine, goal setting and principles are addressed from the beginning, and it only gets better from there. Later in the book, you also learn about how to structure practices so they are the most beneficial for your players. Towards the end, there’s a discussion on tournament-winning strategies, and honestly, you won’t be able to put the book down. If you’re passionate and excited about coaching, this book will only stoke the fire. While some of the information in the book is slightly outdated (techniques are always changing and the sport feels like it’s evolving every season just about), most of the information could have been written today and you wouldn’t know the difference. Like I said in the beginning of this article, a “bible” is a book you return to again and again for advice, and I can say from experience that this certainly fits the bill! This book was published in 2002, and I would still recommend it to beginner coaches. Sometimes you just need a refresher. And like I said in my last point, some of the information is a little dated. Most of that information being the skills sections. However, looking back through now I don’t see anything major that would cause issues. One example is the section which talk about rolling (which has fallen out of favor recently). Today’s coaches prefer players to stay on their feet and read the ball rather than need to make a last ditch effort. Of course, that’s preferred, and I don’t think learning to roll properly would hurt anyone. I also like that there are a ton of diagrams and check lists in this book, making the information easier to digest. Add in the fact that the contributors discuss strength and conditioning, and you won’t need another book for a while. #4. It covers…. well, everything. Maybe you’re going to coach a high school team. Maybe a club team. Maybe you want to start a whole club program! Whatever kind of coaching you’re looking to get involved in (college included), there’s a section for you. And once you get addicted to coaching? Well, you can come right back to the book and learn about additional coaching opportunities. Another favorite aspect of volleyball of mine is keeping stats. There’s a section on tracking basic stats, plus another on scouting opponents. The stats that are most common today are slightly different, but again, this is a great starting point. It may actually be beneficial to understand the development of statistics in a historical sense. I’ll include links here to their Wiki pages so you can read up, but essentially Don Shondell is a Volleyball Hall of Fame Coach, having coached for 34 seasons at Ball State University. He started the men’s volleyball team there in 1964 and is obviously well connected in the volleyball world (you’ll see in the next point). Cecile Reynaud has an equally impressive resume, as she coached for 26 seasons at Florida State University. With over 500 wins under her belt, it’d be hard to argue with her ability to collect and edit the information provided in this text. College coaches, Olympic coaches… they’re all here, providing you with specialized information on certain topics. Mary Wise, head coach of Florida University, shares the basics of serving, different types of serves, serving strategies, and a handful of serving drills she runs with her Florida Gators. John Cook (Nebraska) authors the section on conditioning for high performance, and Doug Beal (Olympic coach, player, USA Volleyball executive, former head coach at Bowling Green State University (ay ziggy zoomba! Where my Falcons at?) etc.) discusses expecting excellence in your program. 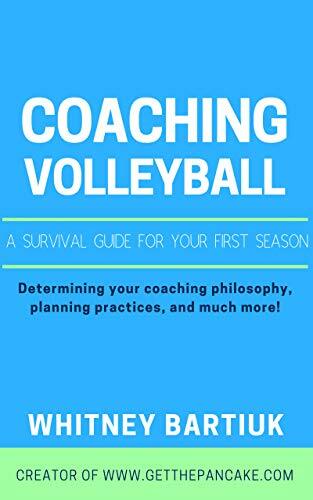 Why suffer through years trying to learn on your own, when you can have the collective wisdom of some of volleyball’s coaching greats readily accessible on your bookshelf? #7. It’s about more than just the sport. The book also covers topics like building a program (mentioned earlier) and promoting and marketing your sport. I think this is one of the biggest challenges facing volleyball (we don’t get the press we deserve!) and so you KNOW I have read through this chapter quite a few times. You also learn about building relationships with officials and parents, how to have high expectations for your program, and more. Overall, would I recommend this book? 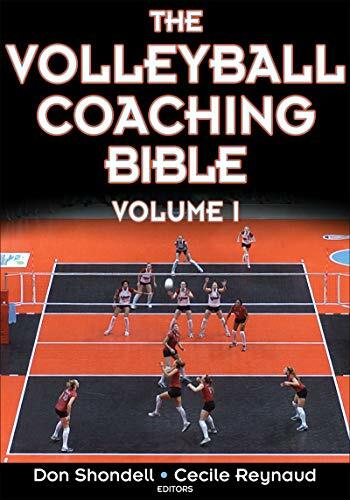 Again, it was published in 2002 so it might seem a little outdated, but if you want a more updated version there is a Volleyball Coaching Bible Volume II :) I haven’t read that book, as my current coaching bible is serving me well. If you liked this book review, or if you have another book you’d like me to discuss let me know in the comments! And don’t forget to follow @getthepancake on Instagram, Facebook, YouTube and Pinterest! This article (and the rest of getthepancake.com) contains affiliate links. This means I receive a small commission if you decide to buy anything from Amazon following my recommendation. Don’t worry, this doesn’t change your price!